Miley and his wife, Clair, live in Camilla, Georgia. They have five children who are married, and now have ten grandchildren. Their family has been associated with There is More Ministries as far back as 1979 when his wife went to hear Sue Wiatt in Albany, Georgia. Through the years, they have grown to love the ministry and marvel at what the Father is doing in the lives of all those who come upon the grounds of Living Waters. All of their children grew up in the summer camps, while Clair helped teach there for eleven years. Miley was elected to the Advisory Board many years ago and was later elected to the Governing Board. One of the things Miley hopes to emphasize in the coming years is the spirit of hospitality. Miley and Clair have always welcomed those who have come to Living Waters for the first time and have left feeling a part of this ministry and experiencing peace on these grounds because He is our peace. B.J. and Pam have three beautiful children- Brian, Allysa, and Cameron. They have been married for 12 years. BJ has been a part of this ministry since 1996, starting out as a camper in the Senior II camp. God touched his life as a youth that year and he began to pursue more of Him and His presence. His first year as a counselor at Living Waters was in 2000. From 2001-2003 he was Assistant Director under Wendy Coleman and Camp Director from 2004-2014. He and Pam are excited to be a part of Living Waters and all that God is doing at the ministry. They pray for every person that sets foot on the property to experience God’s love, peace, and presence for themselves, as well as being empowered by His Word. Their desire is to see His plans and purposes for this ministry to be brought about through Sue Wiatt’s vision. 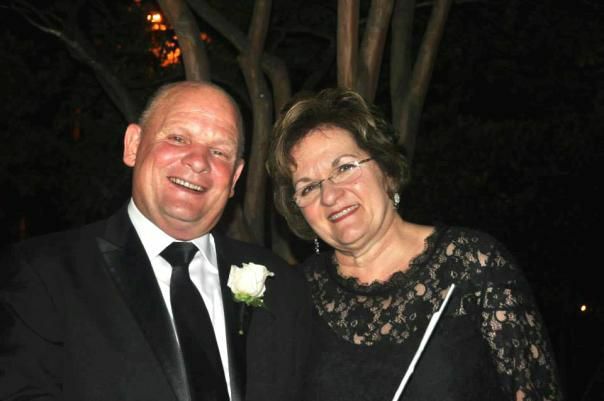 Harvey and his wife, Betty, live in Rincon, Georgia where Betty is on the staff of the Savannah College of Art and Design. Harvey retired from the corporate world in 1999 as a vice-president of finance and administration. They became familiar with Living Waters after being introduced to Larry and Hazel Long, who invited their nine year old daughter, Tierney, to the summer youth camp. This experience was life-changing for Tierney and after years of visiting, Harvey and Betty felt a calling from God to become more involved with Living Waters.